Two of my favorite Filipino food: Cebu Lechon and Homemade Chicharon Bulaklak! Freshly cooked and delivered by my Tita Elvie’s friend. 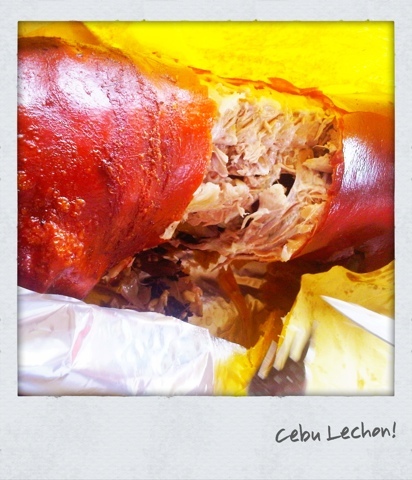 For me, nothing beats Cebu Lechon. The taste is as good as it looks. Tasty, crispy and flavorful. Seasoned only with salt & pepper and deep fried. Served with spicy vinegar and ice-cold Coke! Sinfully good! 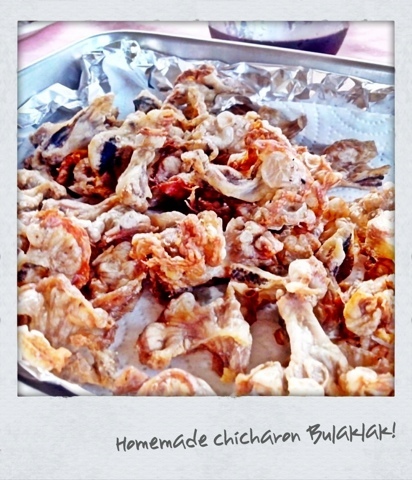 You are Here >> Home » Food » Lechon at Chicharon Bulaklak!